This is a super easy side dish I got from Pam Anderson's cookbook, The Perfect Recipe for Losing Weight & Eating Great. I prepared this for my Chef Spotlight dinner where we highlighted healthy chefs. It was a side dish that was colorful and complimented our menu well! 2 tablespoons extra virgin olive oil. In a bowl, place your green beans, tomatoes and oregano. Drizzle oil over vegetables and toss to coat. Sprinkle with salt & pepper to taste. 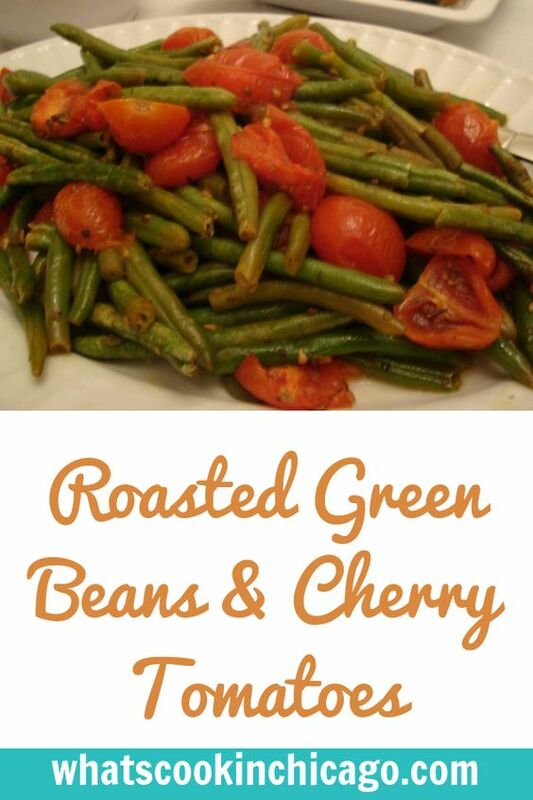 Place vegetables on a baking sheet and baking in preheated oven for 10-12 minutes.